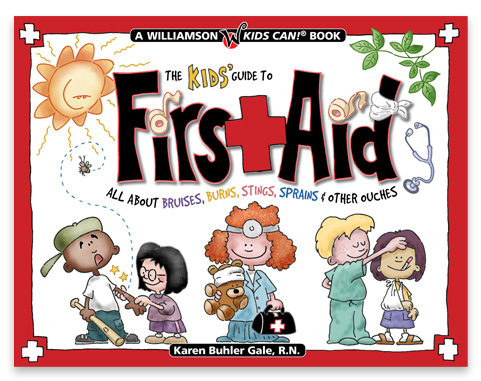 All told there are about 35-40 books that I’ve illustrated, ranging from dinosaurs to first aid. 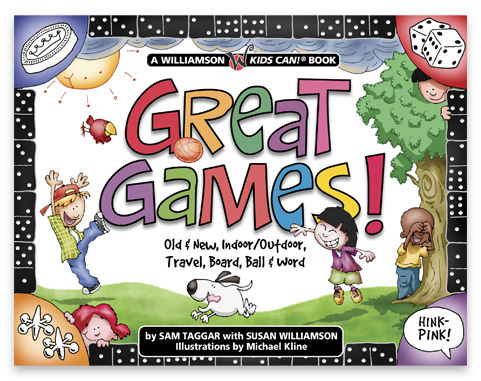 Most are produced by Williamson Publishing and are instructional activity books that deal with social, scientific, and historical subjects. And then of course, there are some that are just for fun. One of a 4-part series from Parent Perks, featuring the No Biggie Bunch, a diverse group of kids who handle the social challenges of food allergies with poise and panache. A terrific primer for kids on the periodic table and what effect it has on everyday living. 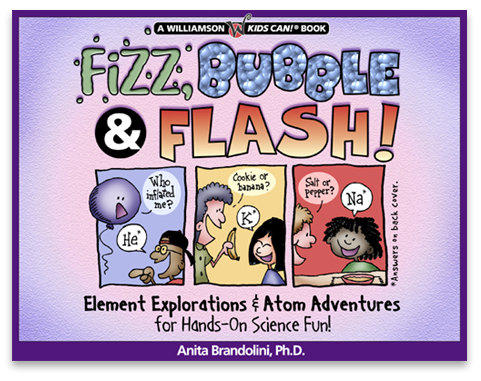 Written by Anita Brandolini and illustrated by Michael Kline. 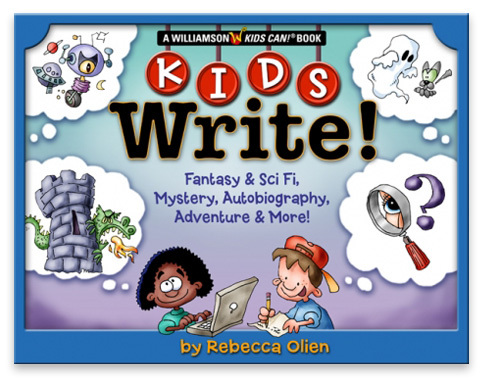 Kids Write, by Rebecca Olien. Illustrated by Michael Kline. 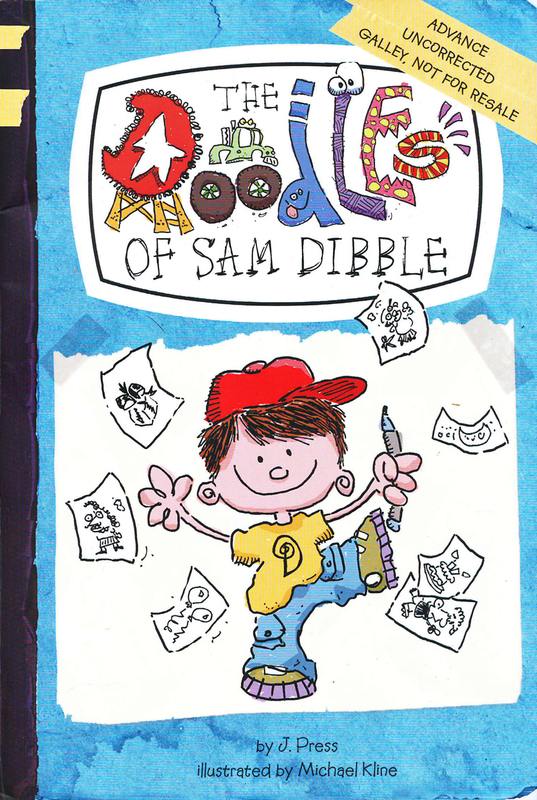 A great companion piece to Kids Write. Written and illustrated by Michael Kline. 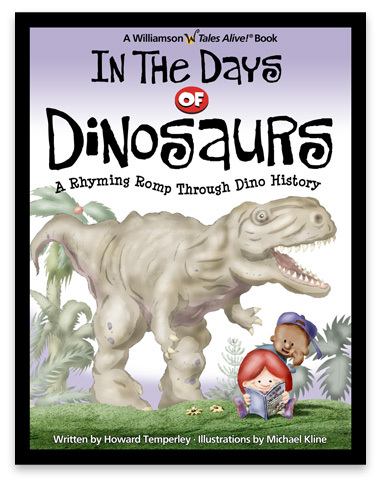 A rhyming romp through the days of the dinos. Written by Howard Temperley and illustrated by Michael Kline. 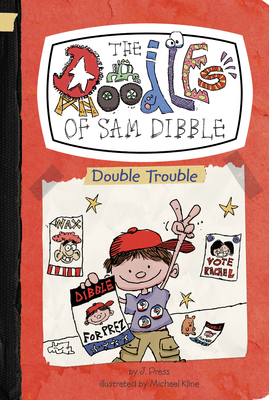 Probably one of the funner books I worked on; lots of banged-up kids (like myself when I was, ummm, younger. 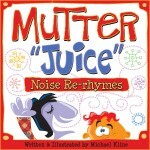 Written by Karen Buhler Gale, illustrated by Michael Kline. Great Games was a riot too; lots of running around, goofing off, and making things up as you go. Written by Sam Taggar (a pseudonym for all the contributors) and illustrated by Michael Kline. 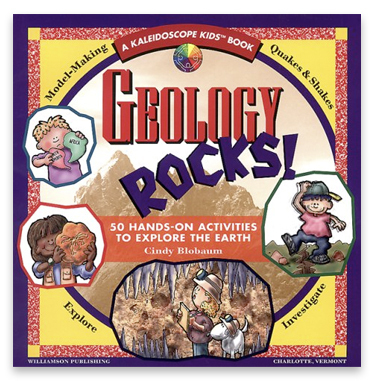 A great book on Geology for kids, with plenty o’ rock-related activities. 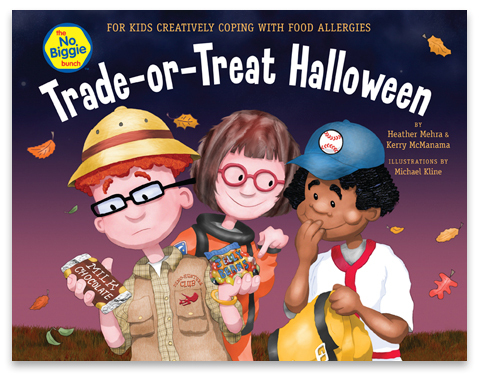 Written by Cindy Blobaum and illustrated by Michael Kline. One of the more controversial books I’ve worked on, “Beast” was a wonderfully balanced book on all aspects of evolution, but was needlessly panned by conservatives. 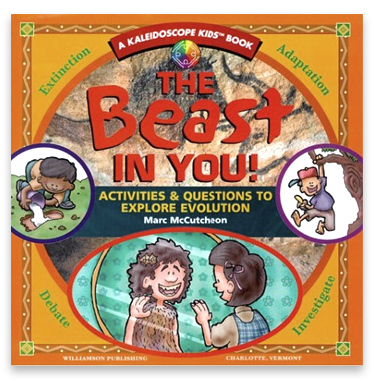 Written by Marc McCutcheon and illustrated by Michael Kline. 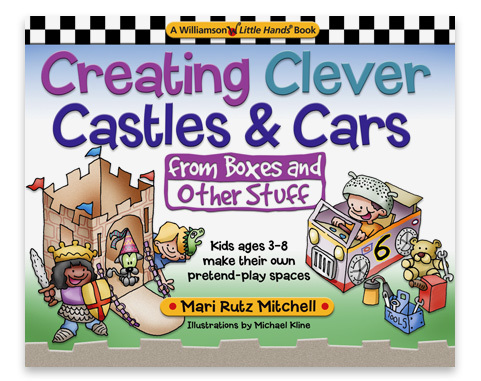 A wonderful book on creativity by Mari Rutz Mitchell, employing one of my all-time favorite toys, the ubiquitous cardboard box. Illustrations by Michael Kline. 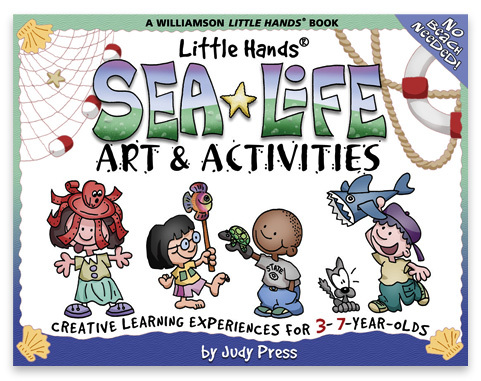 A treatise on oceanic activities for coastal kids. 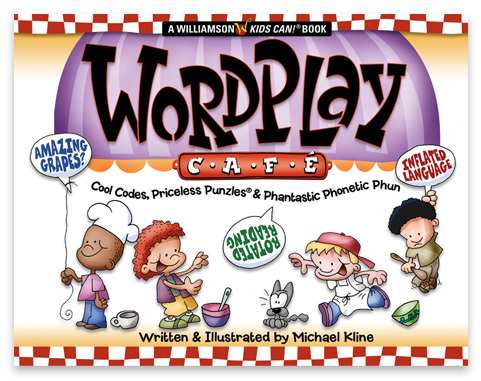 Written by Judy Press, illustrated by Michael Kline. 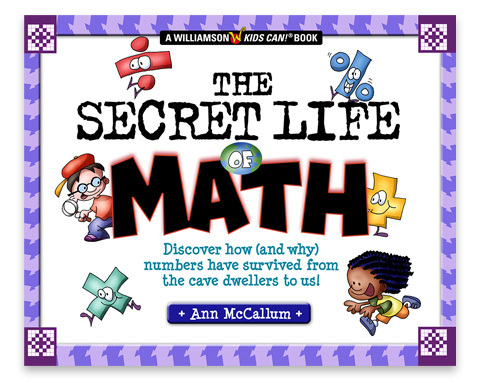 The Secret Life of Math by Anna McCallum. Cover design and illustration by Michael Kline. Please send me the rest of the chapters (2-6) for downloading my free copy. It says this is not available when I went into the site this morning. Thanks much! Love it! Really like your art Mike. Your sketches all have a joyful expression. Do you use a tablet for any of your work? Actually, I do… a Wacom Bamboo. I had developed severe carpal tunnel from using my mouse so much, but with the tablet I’m free to keep going long hours into the night. Thanks for the nice comments.